When it comes to diplomatic relations, the Holy See has always seeked dialogue with governments, no matter what kind of government they are. At the inauguration of the new Maduro’s presidential mandate, the Holy See did not send the nuncio, but a lower ranked official of the nunciature, George Koovakok. This way, the Holy See kept all the channels open and at the same time showed that Maduro’s government was not given the attention expected for a president. This has always been the Pontifical diplomacy attitude. The keywords of the pontifical diplomacy are presence and dialogue, in order to safeguard Christians on the ground. The concordate with the Nazi Germany in 1930s; the Ostpolitik during the cold war; the confidential agreement on the appointment of bishops of China must be read through these lenses. Through these same lenses, one can understand why the Holy See never closed the diplomatic ties with Cuba, not even when the Fidel Castro regime hit hard against Christians. Even a piece of history of Panama is revealing: the Papal nunciature gave refuge to the dictator Manuel Noriega, who later spontaneously went out of the nunciature to be arrested. Obviously, each Pope gave its imprinting to this general diplomatic line. St. John Paul II overcame Ostpolitik and made of the Church a rampart in front of the secularized world. Benedict XVI set the Holy See diplomatic line on the announcement of truth. Pope Francis is characterizing his diplomatic activity on the notion of the culture of the encounter, and Cardinal Pietro Parolin, Vatican secretary of State, is called to put this line into practice. This is the reason why Cardinal Parolin’s trips must be monitored to understand where Pope Francis is going to go. For example, Cardinal Parolin spent Christmas in Iraq, and Pope Francis admitted that he was in Iraq to evaluate the situation. The Pope also added that he would go to Iraq, but local bishops still say it is not time. 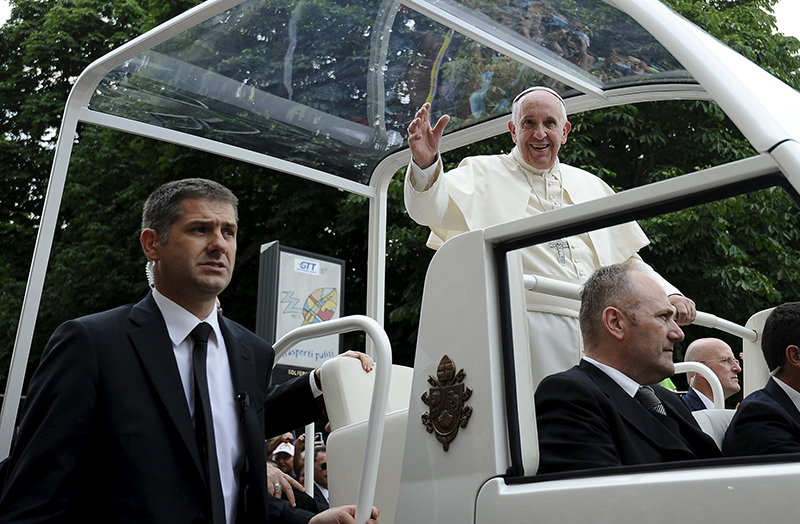 Trips are a mean of Pope Francis diplomacy. This year’s schedule is particularly meaningful. After the World Youth Day in Panama Pope Francis will go to United Arab Emirates for the Human Fraternity Meeting. Then, he will go to Morocco on March 30-31, for the second trip of the year in a Muslim country – it is possible he will also visit the school of the imams established in Rabat in 2015. In May, Pope Francis will be visiting three Orthodox countries: Bulgaria, Macedonia and Romania. It can be said that Pope Francis’ is willing to bridge among religions. A good clue of that is the series of articles published by L’Osservatore Romano during this week. The articles are bylined by officials of the Pontifical Council for the Promotion of Christian Unity, and point out how the ecumenical dialogue developed in 2018. Also Catholic – Muslim dialogue never stopped. The reopening of the dialogue with the al Azhar sunni institution did not stop the meetings with other Islamic realities. The general secretary of the Arab League was twice in the Vatican last year, and Cardinal Jean Louis Tauran last mission was a historical trip to Saudi Arabia. The trips to Arab Emirates and Morocco are a consequence of this ongoing commitment for dialogue. Pope Francis will also travel to Japan in 2019, as he himself said during his flight to Panama. Cardinal Maeda, archbishop of Osaka, immediately said that he hoped Pope Francis will deliver a strong message for nuclear disarmament. Pope Francis’ 2019 schedule of trips might also reveal that Pope Francis is bringing his diplomatic efforts to another level. At the beginning, he chose the trips on the basis of one criterion: to go where God is needed. Now, the criterion is to go there where bridges are needed. The bridges are not diplomatic ones. Diplomacy is part of the deal, but Pope Francis is always more focusing on the role of religions, since peace can be a fruit of unity among religions. This is Pope Francis’ pragmatic ecumenism, that goes along with the ecumenism of blood. Beyond theological dialogue, Pope Francis believes in the dialogue of working together, and backs this dialogue with high level meetings. The Holy See diplomacy bears some universal messages: peace, the utopia of integral disarmament, the common good. Pope Francis bears these messages in his trips, but from a pastoral, rather than a diplomatic, perspective. Perhaps, this shift of paradigm might be noted in Pope Francis’ choice to give always less importance to the Rome’s structure. The probabile shutdown of the Prefecture for the Pontifical Household is part of this path. After the shutdown, the protocol of the Secretariat of State would organize the State visits to the Pope. This would reduce the symbolic importance of the visits to the Pope – a symbolic importance with a deep religious meaning. This way, the Holy See would turn into a State like many others, losing much of its institutional grip. This process is in the end part of the progressive erosion of the Holy See sovereignty. Pope Francis is likely looking for a Holy See that is less a State and more committed on pastoral action. Beyond the symbolic meanings of thing, he sees as a mission of the Church to be at the helm of a great fraternity among men. This was the Simon Bolivar’s dream of a fraternity of Latin American countries. Pope Francis reminded that in his first speech in Panama. 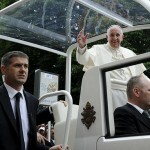 The trips’ schedule can then also reveal something of Pope Francis’ reform. Pope Francis’ program is ultimately the same as Benedict XVI, i.e. a less worldly Church. But Pope Francis also thinks that structures are the problem, and that abolishing structures when there is a risk of sin would ultimately mean to avoid sins, so to avoid the scandals and the pain the Church endured because of sins. History will tell if Pope Francis is right, and if really abolishing structures means abolishing the structures of sin. There is the ultimate risk that, after the Pontificate, everything will need to be restored: in the end, in spite of his big message for the dialogue and the encounter, the Pope might have forgotten to establish solid institutions.